These webinars take you right inside EssentOne so you can see the power of the system yourself. 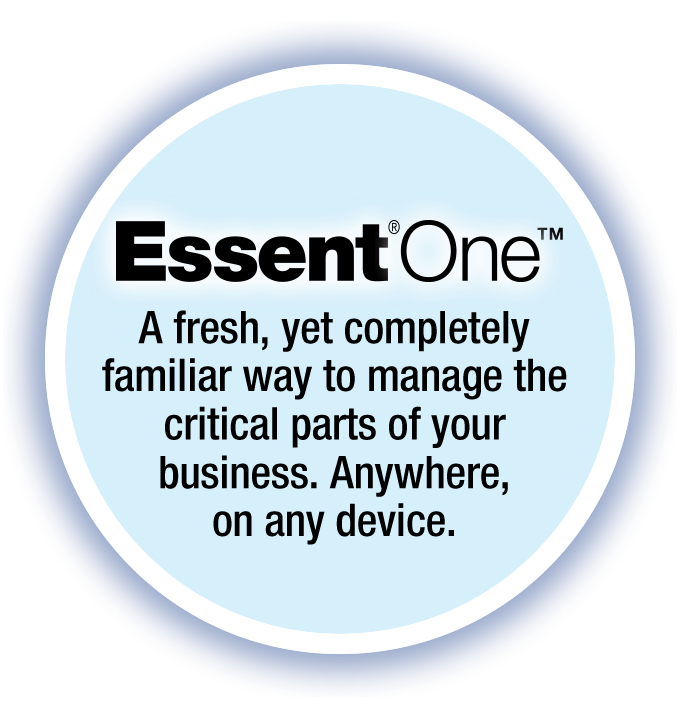 EssentOne eliminates re-keying and applies your business rules for the most efficient CRM and Order Management. EssentOne automatically performs even sophisticated accounting like job costing and commission simply as a result of processing orders like normal. EssentOne is a beautiful, intuitive, fully-integrated business management system that puts an end to re-keying and automates the unique way that you do business.